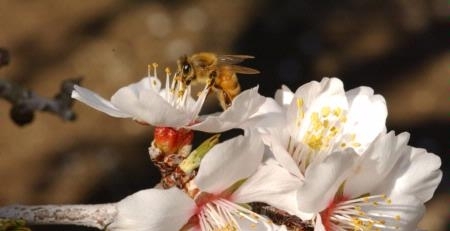 The warm, dry late winter weather in California has been good news for almond farmers who were concerned about a bee shortage during bloom, reported Capital Press. "It looks good right now," said Rich Buchner, UC Cooperative Extension advisor in Tehama County. "The bees are out working like crazy. It's going to be warm and dry over the next 10 days, so it should be about perfect for almond set." Almond growers are enjoying a vibrant blossom season even though California only had about 500,000 bee colonies available as of mid-February to pollinate this year's crop of 800,000 acres, according to Eric Mussen, UCCE specialist in the Department of Entomology at UC Davis. Typically, as many as 1.6 million are needed to provide two colonies per acre. The favorable weather for bee activity comes with a catch, however. Precipitation totals are behind seasonal averages. There's no need to re-wash pre-washed greens. Re-washing bagged greens may be making salads dirtier, according to a bevy of food safety experts, reported Deborah Schoch in the Los Angeles Times. Even the cleanest kitchens can teem with harmful pathogens - on cutting boards and in salad spinners, on knives that just sliced raw chicken, on damp, well-used cloth towels. 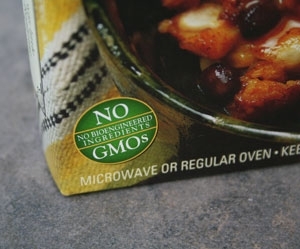 "In brief, consumers don't wash up very well and may contaminate produce due to dirty hands and dirty sink," emailed Christine M. Bruhn, director of the Center for Consumer Research at UC Davis. That's especially a problem with salad greens, since they never get cooked. 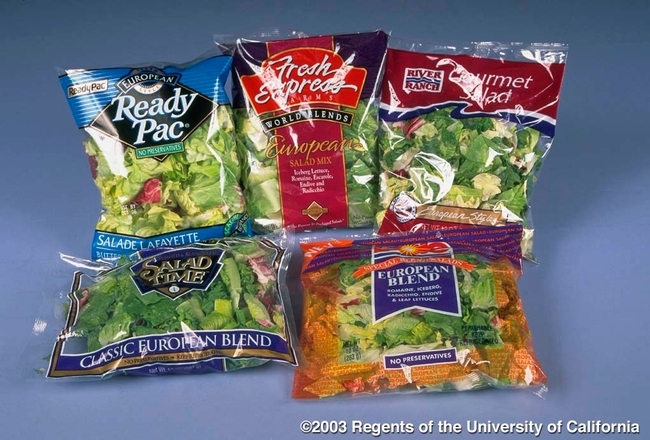 Schoch spoke to food experts from Kansas State University and the University of Maryland who also recommended pre-washed greens not be re-washed. The American Sheep Industry Association is teaming up with the state sheep associations to expand the Let’s Grow initiative to include mentor programs for beginning sheep producers. “There is a real movement as far as people wanting to get back to the land. In some ways, it’s like the 1960s and 70s, only with a whole bunch of bigger challenges,” says Roger Ingram, University of California Cooperative Extension farm advisor. Shepherds need to know how to run animals in a variety of environments, be able to identify common and uncommon pasture and range plants, know range nutrition, identify potential poisonous plants, be able to quickly asses the health of the flock and be able to take the appropriate steps in field conditions to fix problems, Ingram said. The lack of rain has meant some Butte County almond growers have already irrigated twice, and some are starting a third run with the water. They would rather not water at all, and often don't need to this time of year, said Joe Connell, UC Cooperative Extension farm advisor. It can cost about $40 to apply 12 inches of water to one acre, he said. Growers will think carefully before pumping if it looks like another storm is on the way. The most recent rain provided water to the first foot of soil, depending on the soil conditions. But almond growers will want the soil irrigated 3 to 4 feet down by bloom time. Almond trees in the area will likely begin to bloom around Valentine's Day this year, about a week earlier than normal. 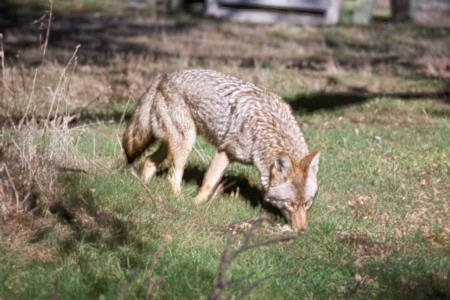 Losing bees to colony collapse disorder is not good for Yuba-Sutter. Beekeeping brought in about $3.9 million to area beekeepers in 2010, the last year for which data is available. On average, beekeepers have lost nearly one-third of their colonies each year since 2006. That number likely skyrocketed last year as dwindling colonies drove higher prices. A shrinking supply of vibrant hives nearly doubled the price of a colony, from $33 to $58 between 2009 and 2010, according to the Sutter County Crop Report. The price nearly tripled again and is holding at about $150 a colony, said Eric Mussen, an apiculturist with UC Cooperative Extension at UC Davis. "It just shot up," he added. Glenn County farmers are restricted by law from planting cotton in the same field three years in a row if the level of verticillium wilt is detected in 3 percent or more of the crop. It's been nearly 20 years since olive, walnut and pistachio farmers first declared war on cotton, but the Glenn County Board of Supervisors declared Tuesday that fear of verticillium dahliae levels might be a a bit overblown, said an article by Susan Meeker in the Colusa County Sun-Herald. 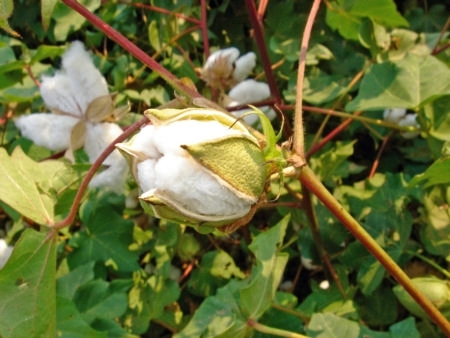 The board agreed to revisit the 2008 regulation that prevents cotton growers from planting in the same field three years in a row if the level of verticillium wilt is detected in 3 percent or more of the crop. Doug Munier, farm advisor for University of California Cooperative Extension, said verticillium dahliae exists in native valley soils and is spread by movement. "Verticillium was a minor problem with cotton was first planted in the mid-1990s and it is still a minor problem after 17 years of production," he said. Government officials, leading bee experts and average beekeepers around the country say the strange discovery of a deadly bee parasite fly that makes honeybees act "zombie-like" is not seen nationwide — but only in a recently published San Francisco State University study.  And some even question the veracity of the discovery itself. The parasite fly is a long-time resident of California and a known nemesis to other bugs besides honeybees, the article said.